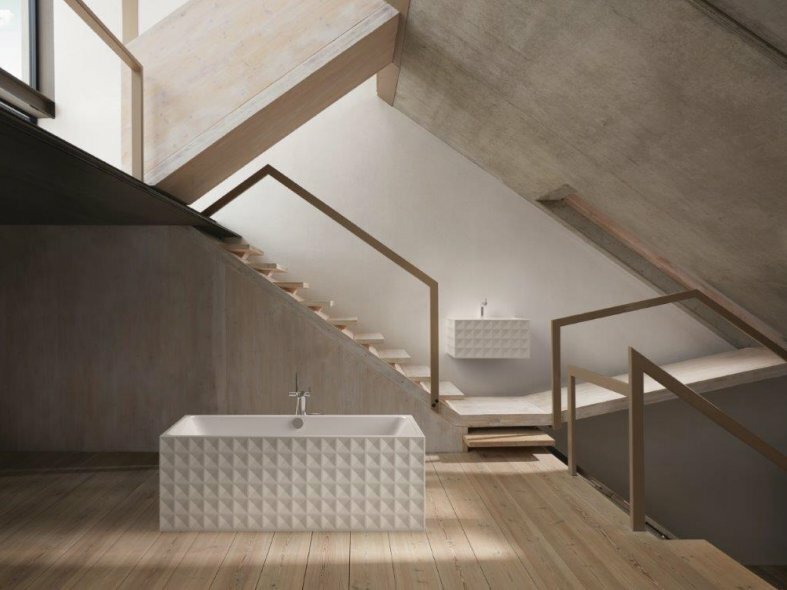 The built-in BetteLoft bath features an extremely slim rim and is suitable for flush installation, while the BetteLoft Ornament is a large free-standing bath with statement geometric embossing. Matching washbasins, also in glazed titanium steel, are available for both. In the built-in BetteLoft bath, the glazed titanium steel is seen in all its flawless beauty. 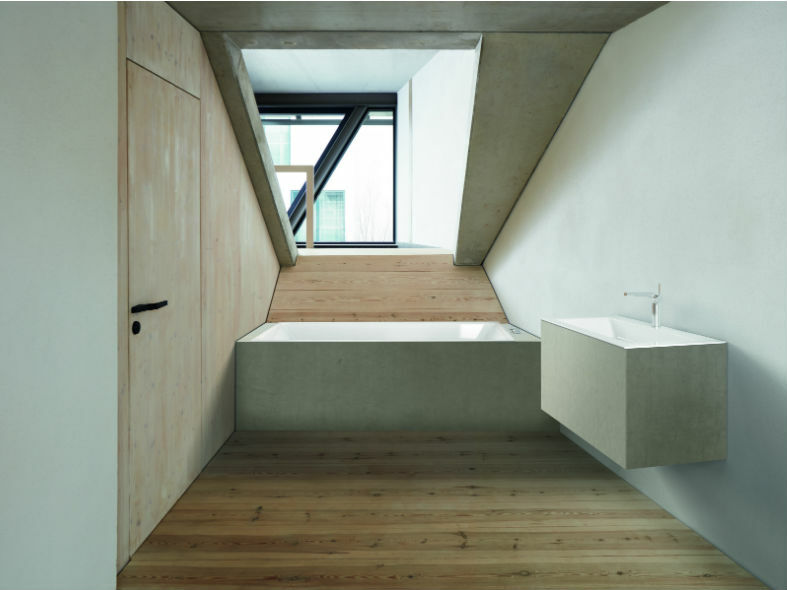 An extremely slim bath rim frames the interior of the bath, and there are large, level surfaces that offer plenty of space for bathing, and comfortable back geometry which makes it perfect for a lengthy soak. The slim bath rim measures only 8 mm, making the bath suitable for flush installation and allowing the creation of highly exclusive and individual bathrooms. The built-in BetteLoft bath is available in the three sizes: 170 x 80cm, 180 x 80cm and 190 x 90cm, all with a depth of 42cm. Also available is a built-in washbasin, which measures 80 x 49.5 x 0.8cm and features an all-round rim, offering plenty of space for toiletries. The BetteLoft Ornament is a large free-standing bath that creates an optical highlight in the bathroom and demonstrates the tremendous adaptability of glazed titanium steel. While the interior is in the same comfortable and pared-back shape as BetteLoft, the expressive exterior emphasises the symmetry of the bath with statement embossing. The play between light and shadow lends this luxurious bath an outstanding vibrancy, complemented by the quality of the rimless construction. The BetteLoft Ornament bath measures 181 x 81cm. A wall-hung washbasin with the exterior in the same geometric pattern, is also available in two sizes and pattern options. The BetteLoft Ornament washbasin with a single row of ornamentation measures 82.5 x 52.5x 12.5cm, while a version with four rows of ornamentation measures 81 x 51 x 42 cm. BetteLoft and BetteLoft Ornament inspire a wide range of design options in the bathroom and achieve both exceptional design lines and high levels of comfort.